Remember when keyword stuffing was a thing? Marketers filled their web pages with the keywords they had identified to help them improve their rankings. They sometimes even hired an SEO firm to help them fill hidden areas of their sites with those words too. Their search engine rankings improved and everyone was happy, right? Well, not everyone. Google figured out that websites were being artificially stuffed with keywords and that more keywords did not translate to a more useful site for the reader. Google wanted to provide better information for their users and changed their algorithm. Keyword stuffing went from a commonly used tactic to a black hat tactic overnight. SEO or Search Engine Optimization is something all marketers are seeking. We all want pages from our websites to appear at the top of the list when our target audience searches for something we sell or a service we provide. However, keeping up with the ever-changing-world of SEO is a huge challenge. Search engines themselves have become much more sophisticated. Their focus has become much more about context and not just about keywords. 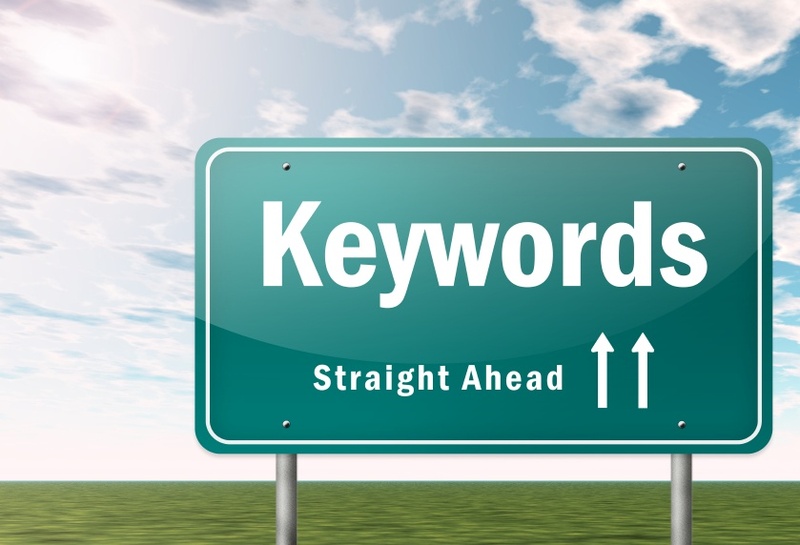 Understanding how your target audience actually uses keywords to search will be critical. Are they looking for a review or recommendation? Are they searching for how to advice? Google is displaying results based on other searches the user has conducted. The search results are more personalized toward what Google thinks the user is actually trying to find. Additionally, scary algorithm updates are being released on what seems like a regular basis. It’s hard to know how to approach SEO. What I said in the introduction is very true. Keyword stuffing is not a viable tactic for improving your search engine rankings. But to say keywords are dead is very much an overstatement. A keyword strategy is just as important today as it was five years ago. What has changed is the way that strategy is executed and where it fits into your overall SEO approach. It is no longer the only thing – it is just one part of the puzzle. Clearly, SEO has become much more complicated but at the same time, understanding how to approach it has become easier. The search engines are trying harder to please their users – people like you and me. If we approach SEO in the same way, always with our customers and prospects in mind, we should do ok. Here are six things to help you please the search engines and rank higher all while providing helpful, useful content for your target audience. Just because keyword stuffing is bad doesn’t mean you don’t need a keyword strategy. Keywords are very much alive. Your keyword strategy is directly related to your buyer personas. Truly understanding who it is you are trying to attract will help you develop your keyword strategy. Select words that address the challenges they face. Long-tail keywords and phrases can be very effective. Your keywords should address questions your personas will ask about the problems or issues they are trying to solve. Remember, the search engines are looking for context within the content you’re creating. Having clearly defined buyer personas has never been more important to SEO. Once you determine your keywords and phrases, use them in your blog posts and web pages but be careful not to overuse them. Again, you’re writing for real people not the search engines. Every piece of content you create should be helpful and educational to your personas. It’s also important to include your keywords in your URLs, meta descriptions, page titles, headlines and image alt descriptions. People still use words to search. The search engines may analyze them differently but words are still very important to your SEO strategy. Choose them wisely and use them appropriately. I’ve mentioned it multiple times in this post. Context is key to SEO. More than anything else, the search engines want to provide search results that are helpful to the searcher. If you haven’t already, it is time to map out the buyer’s journey your personas take when purchasing your product or service. This will help you develop a content strategy that addresses each phase. Creating a content map will also help you identify and track where there are holes in your strategy. Knowing and understanding the journey will help you move your prospects through it and will help you provide the context your audience and the search engines are looking for. In May, Google announced that more searches are being done from mobile devices than from personal computers for the first time in history. Just two weeks before that announcement, Google launched their mobile-friendly algorithm which ranks mobile-friendly sites higher in search rankings than those that are not. If you haven’t already, it is time to make the move to a mobile-friendly, responsive site. If more users are using mobile devices than PCs to search and the overall goal is to please the people, this is really a no brainer. It will please the people and the search engines. People like to share great content and the search engines like content that gets shared. In fact, content that has more “likes” and “retweets” ranks higher in search engine results. Write for your audience. Give them content that is so great they want to share it with their world. Make it as easy as possible for them to do that. For a while, there has been some confusion about whether or not backlinks are bad. Spammy, irrelevant backlinks are bad. They're sort of like keyword stuffing. It was an attempt to artificially build the authority of your site and your content. In the old days, it wasn’t about the quality of the links, it was all about the quantity. The search engines caught on to this practice and declared it bad. That’s why there is confusion. While those links are bad, legitimate backlinks to a related or authoritative site are good. The search engines still give points for having these good links. Search engines like sites that are consistently providing useful content to their audience. A company blog can help you achieve this goal. Publish on a consistent and fairly frequent schedule to improve search rankings. A blog isn’t the only way. Publishing new premium content on a consistent schedule will also help. Additionally and more importantly, if you’re creating useful content for your personas, they will begin to look forward to seeing the next post or new tool you develop for them which will hopefully lead to some of the other things I talked about earlier…shares and links. What it all boils down to is this. Create content for your people. They’ll be happy. That will make the search engines happy. The results will make you happy too.